We had a wonderful Peace Treaty weekend, with many visitors. Thank you to everyone who shared the weekend and its special activities with us. If you missed the weekend, we are still open regular hours. There will be a wide variety of activities including author appearances, hands-on demonstrations, historic cowboy songs, and much more. This is a wristband, which allowed visitors to come and go to all events for all three days. The All Access Youth Pass will admit young people 7-17 to the museum at no additional charge. See the Tickets page on the Peace Treaty website, about halfway down, for more information on the All Access Youth Pass. Also, regular admission (see left column) will allow you to come and go for one day. 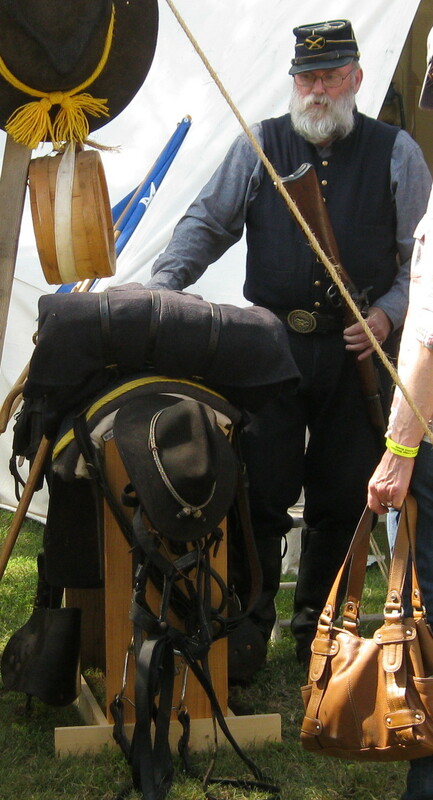 An 1867 U.S. Cavalry living history camp. Climb the stairs to the top of the newly-rebuilt west tower. Imagine what it would have been like to live in this 1877 home. These ladies from Oklahoma will demonstrate how to make lace in the Carry Nation home. Children can make their own lace to take home. 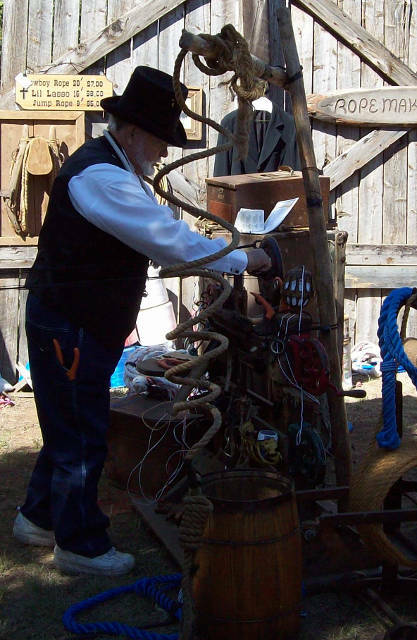 Buddy Williams will demonstrate how he makes custom ropes. You can even make your very own rope! Two players can race toy ducks through a water course. Great fun for the whole family! Ponies for children to ride will be behind the Carry Nation home. Cowboy music is about the human condition, western version. 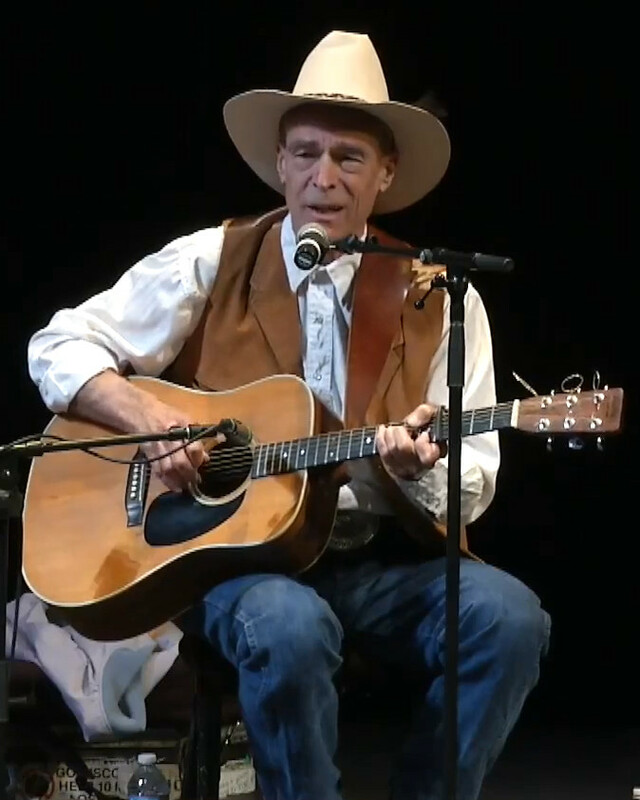 Cormier’s music is old and traditional cowboy work music and modern cowboy work music, and reflects his nine years as a ranch and farm hand. His music is also informed from teaching college history twenty-two years. And along the way he has played roles in film and television as diverse as Wyatt Earp and Breaking Bad. Age has allowed him to reflect on being older, and perhaps understand a little more of why we are the way we are. Steve Cormier will appear at 11:15 AM and 4:15 PM on both Friday and Saturday. 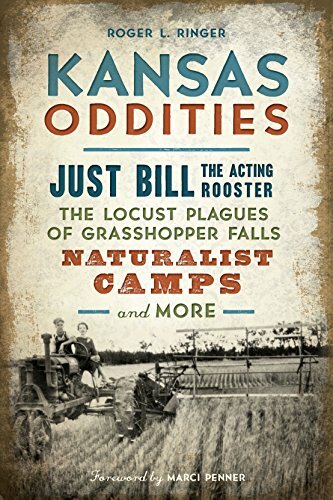 Come and meet Roger Ringer, a local Kansas writer who is selling and signing his second book, Kansas Oddities, Friday 12-2 PM and Saturday 1-2 PM. Touch down at Dead Cow International Airport and sample the state’s bumper crop of bizarre history. The most commonplace sights contain unlikely stories, from the bulldozer’s Morrowsville origins to the sunflower’s journey from outlawed weed to state symbol. Some of this heritage lies submerged or buried, like the world’s only saltwater spring, which now sits at the bottom of a man-made lake. Rumored caches of the Fleagle Gang’s loot still draw treasure hunters in spades. 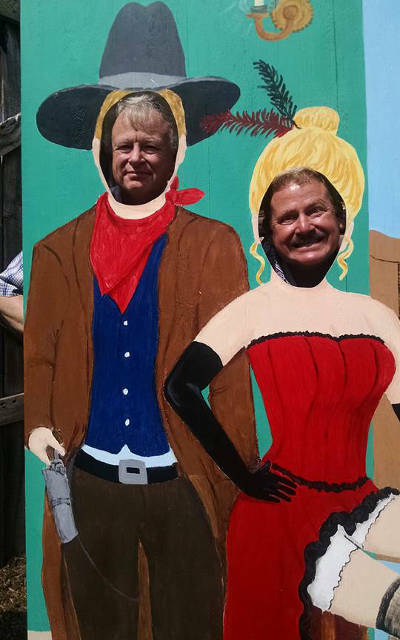 From mariachi legends to rodeo roundups, Roger Ringer gathers in a vast and varied harvest of Kansas lore. 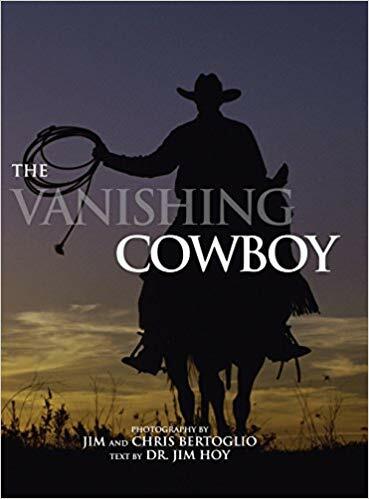 Jan will be selling the book The Vanishing Cowboy, of stunning photographs by her late husband, Jim Bertoglio, and their son Chris, text by Dr. Jim Hoy. 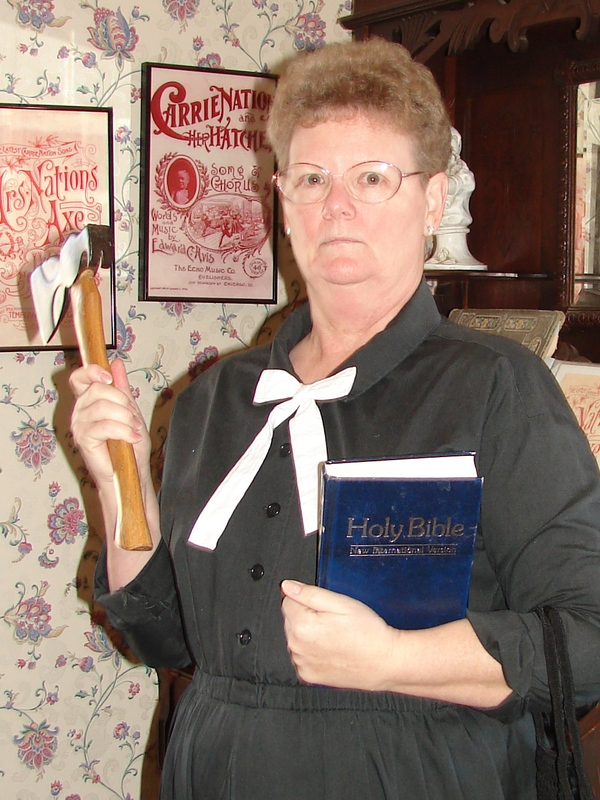 She will be at the Stockade 4-5 PM on both Friday and Saturday. Have you ever dreamed of being a cowboy? Who of us hasn’t? The mere mention of it brings to mind images of boots and saddles, horses and cattle, and being in the great outdoors. This much is true, cowboy stories never cease to hold our attention, and The Vanishing Cowboy is an especially captivating narrative. Weaving a historical text with contemporary photographs taken on location at some of the largest and last-remaining working ranches in the United States, The Vanishing Cowboy is an informative and appealing look at one of America’s most iconic figures. But for all his popularity, has the cowboy’s time passed? Threatened by urbanization and industrialization, will this folk hero endure the test of time, or is he headed for the sunset? Known for smashing bars in her attempt to enforce the existing prohibition laws. Portrayed by Kim Newman, Carry will visit her Medicine Lodge home Friday at 3 PM and Saturday at 2 PM. Cheri has a B.A. from Wichita State and a M.A. from the University of Hawaii. 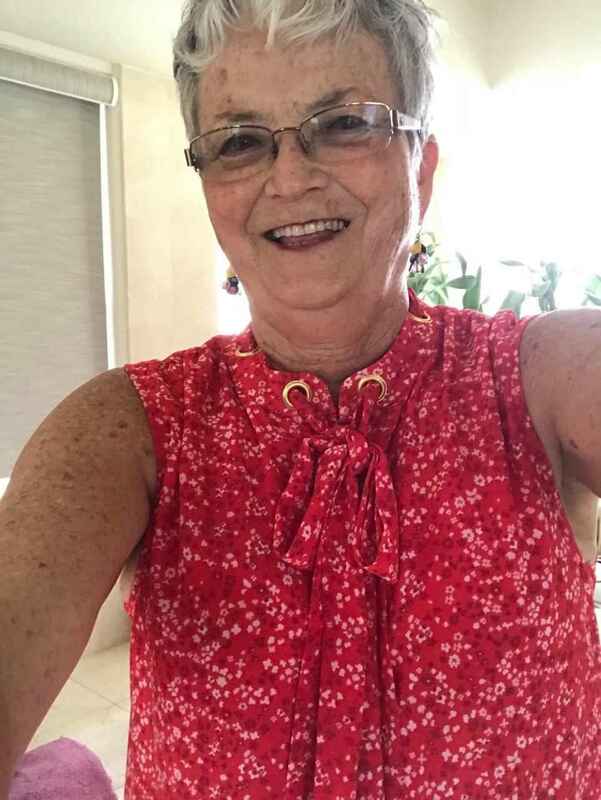 Retired after teaching 36 years of art to Elementary and High School students in Honolulu, HI. Cheri has shown her art work in Kansas and Honolulu. Cheri was highly motivated to be an art teacher by her high school art teacher and college instructors in Kansas. Two top honors she has received were when she was chosen as a top “hero teacher in the in islands” and one of the 25 art teachers chosen to represent the U.S.A. to visit schools in Cuba. She will give demonstrations and tell about her art Friday 1-4 PM. 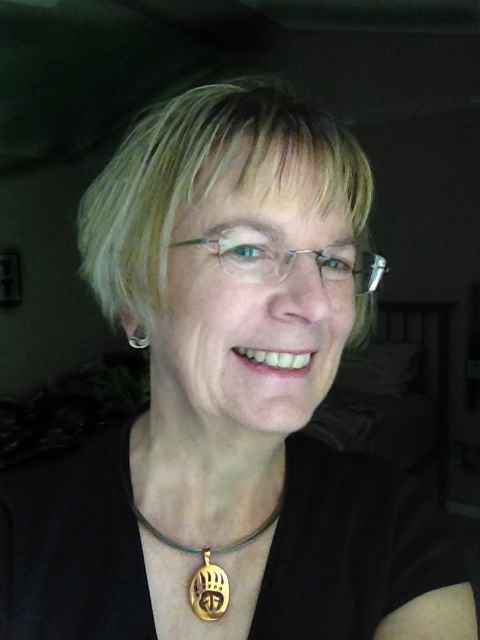 Marla Craven grew up in Medicine Lodge and now lives in Prairie Village. She has worked solely as a photographic artist since 1995 and is currently a member of Images Art Gallery in Overland Park. Her goal is to produce an image that speaks emotionally to the observer. Through choice of subject matter, composition, and technique, she strives to convey her personal perspective on every piece. Landscapes, macro, and street photography are common subjects. She will talk about her photography Friday 1-4 PM. Lisa will display some of her painted skulls and talk about the history of decorating skulls as part of Native American history. She has taught skull painting workshops at WSU and Newman University in Wichita. 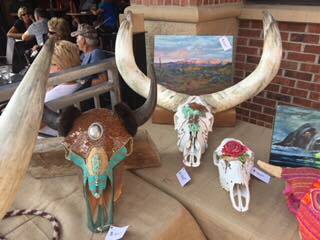 She will talk about skull art and give hands-on demonstrations Friday 1-4 PM. Plus everything listed above for all three days and everything listed for Friday and Saturday! 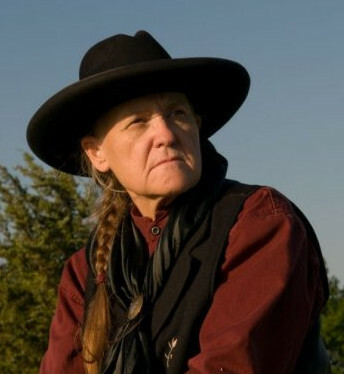 Georgiana Jackson, portrayed by Dr. Joyce Thierer of Ride Into History, tells “Cattle Tales,” classic stories of trailing cattle from Texas to Abilene. A Texas cattle drover, Georgiana took over the drive when her father became ill and her brother was in the war. Georgiana will visit the Stockade Saturday 12-2 PM and 5-7 PM. Everything listed above for all three days!